Experience the journey to hair restoration with an expert by your side. Speak with Dr. Paul today for a free consultation. Platelet Rich Plasma (PRP) safely uses your own blood to enrich your scalp. 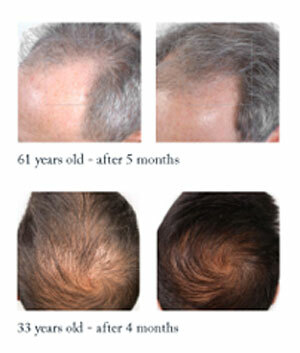 By using blood derived growth factors, PRP offers a unique balanced approach to reviving your hair. The internal essence of your blood contains life-giving fundamental protein growth factors designed to restore and strengthen your scalp hair. Platelet Rich Plasma utilizes a leading-edge technology specifically designed and verified for hair restoration applications. With a simple, quick and advantageous process, Dr. Paul is able to harness a very high concentration of your biological nutrient-rich cells and create autologous platelet-rich plasma. 1st. The practitioner draws a similar amount of blood required for a basic lab test. 2nd. The practitioner places the blood into a centrifuge and spins the blood at a very rapid rate to separate the platelets from the other components of the blood. 3rd. The platelet-rich plasma is activated to release at least 8 essential growth factors and signaling proteins. Platelet-rich plasma is a regenerative technology that deploys aspects of your own biochemistry. The activated growth factors will instinctively know how to repair and strengthen the specific tissues where they reside. And, because all constitutes retrieved in PRP are exclusively from you (autologous in origin), there is virtually no risk of an allergic reaction or intolerance. Nevertheless, before the treatment disclose all the medications you are taking (including herbs) with your doctor. Nutrafol® is a Dr. formulated oral supplement utilized with the hair restoration process. 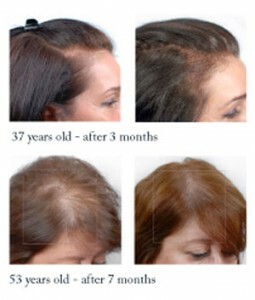 Some thinning hair treatments are associated with negative side effects that can compromise your overall health. Others merely address nutritional deficiencies, and that’s simply not enough. New research proves that hair loss is not caused by one thing, but by an accumulation of causes including inflammation, stress hormones, DHT hormones, and oxidative stress. 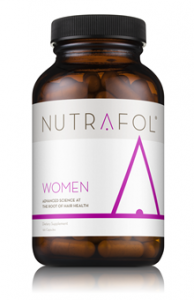 Leveraging the latest in biotechnology, Nutrafol’s clinically-tested botanical ingredients are standardized to specifically address all of these triggers, to strengthen hair, and to nourish thinning hair from within. Sold by over 400 physicians nationwide (and counting! ), the doctor-formulated nutraceutical solution is designed to meet the specific needs for both men and women.